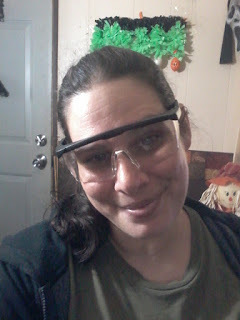 Hunka Hunka Burning Reviews: Keep your eyes safe with INNX safety glasses. 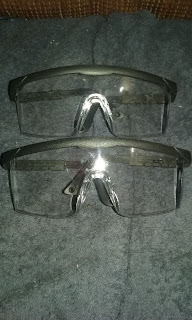 Keep your eyes safe with INNX safety glasses. As a young girl, my father had a huge saw in the basement. If he was using it and we needed anything, we had to put them on before we got close. As a kid, it was fun, as a teen, a bit corny, but now, as an adult, I realize why they were so important. Your eyes, are very important and you need to take every measure you can, to keep them safe. One misplaced shaving of metal or wood and you may not be able to see out of that eye again. Always wear your safety glasses. Now that the lecture is over, lets get to the glasses. If, I'm being honest, at first I didn't see any difference in these and the 50 pairs my husband has hoarded from different jobs. At first look, they appear to be just like the rest. 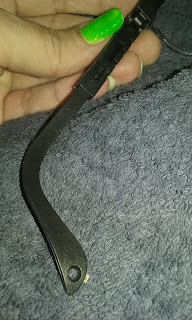 There is a wide front so you can fit your own glasses inside. 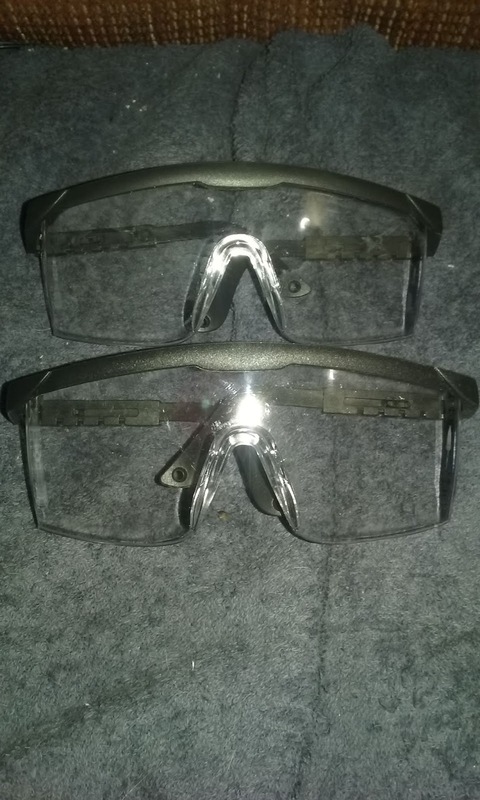 Which is great for those who wear glasses. It also, has the top guard, to keep things from flying in that way. The best part, in my opinion, is the fact that they are extendable. If you have a longer or larger face, and normal glasses just aren't long enough for you, these may be the answer. I have honestly never seen a pair that did this. 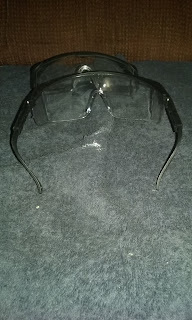 All in all, I have to say they are good safety glasses. 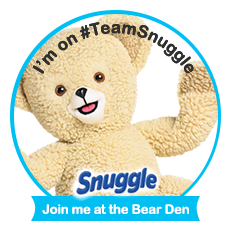 I feel like they are comfortable to wear during jobs around the home, and snug enough to wear to work as well. If you need safety glasses, you need to check these out! What's your favorite memory? I'm always sharing mine, but I want to hear yours as well. Please let me know in the comment section below! As always thank you so much for reading everyone. I received this product at a discount in exchange for my honest review. Regardless of price, all opinions are my own and 100% honest.